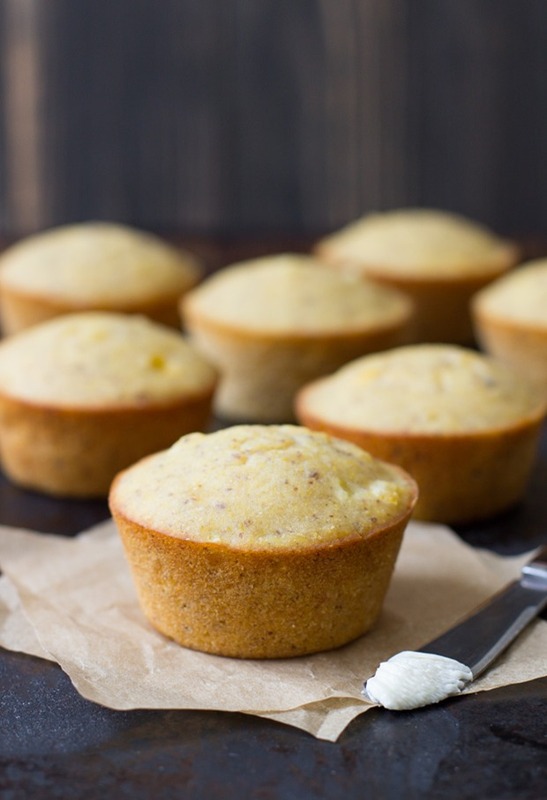 Vegan and Gluten-free Cornbread Muffins- slightly sweet, soft and moist with a delicate crumb. Made with whole grain brown rice flour and cornmeal, you’d never guess they’re whole grain and gluten-free! Helllloo October! If I had to choose one word to describe this month it would be moody. The soft grey light streaming through the dark rain clouds, the golden hues of brown and orange leaves garnishing the sidewalks, and the bowls of comforting foods warming the chill from cold hands. It’s a time of year that’s easy to love because of how cozy everything feels. It’s also a time when I start craving hot foods like Sweet Potato & Lentil Chili, and because I can’t have one without the other I made cornbread to go with it. This is actually the second cornbread recipe on my site; I have a gluten free honey cornbread from last year that’s made with eggs which I know is not ideal for some people. I stuck with the same flour base, using my beloved Bob’s Red Mill organic brown rice flour and finely ground organic cornmeal. Then in place of butter and honey, I used vegan margarine and light agave nectar, and I also added a touch of apple cider vinegar for a subtle buttermilk-style tang. I was honestly shocked at how good they turned out considering all of my prior failed experiments with vegan and gluten free baking. They’re slightly sweet and moist with a delicate crumb. 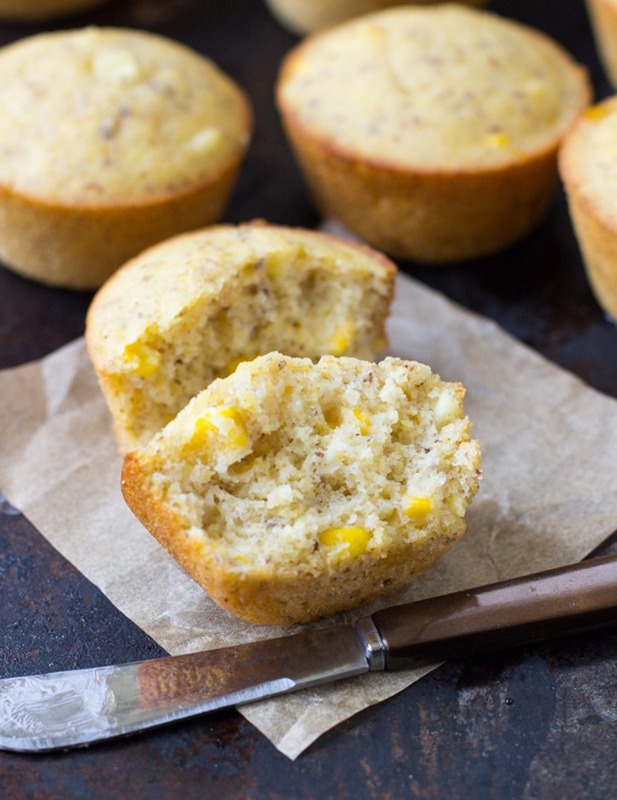 I love sneaking bits of corn in my cornbread so I added some kernels to the batter as well. I adore the texture it gives the muffins when you bite into them. If you haven’t had cornbread that way, I highly recommend giving it a try! In a small measuring cup, combine the flax with the water and set aside to thicken. Then combine the brown rice flour, cornmeal, salt, baking soda and baking powder in a large bowl and sift together. In a separate large bowl, combine the almond milk with the apple cider vinegar and stir together. Allow to sit for a few minutes. Next add the agave, melted butter and flax egg to the bowl with the almond milk and stir together. 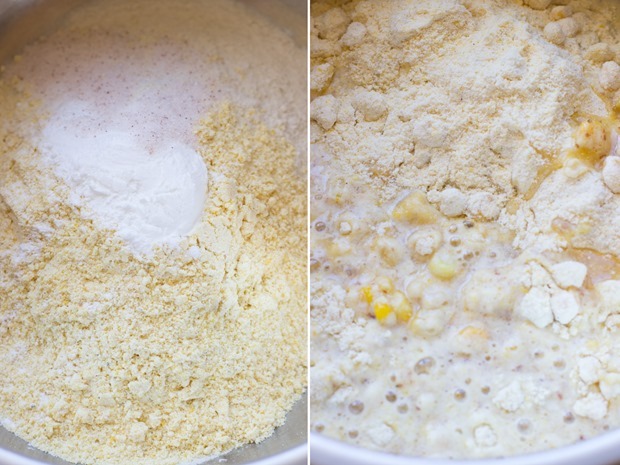 Add the frozen corn kernels and the dry ingredients and fold everything together until well combined. 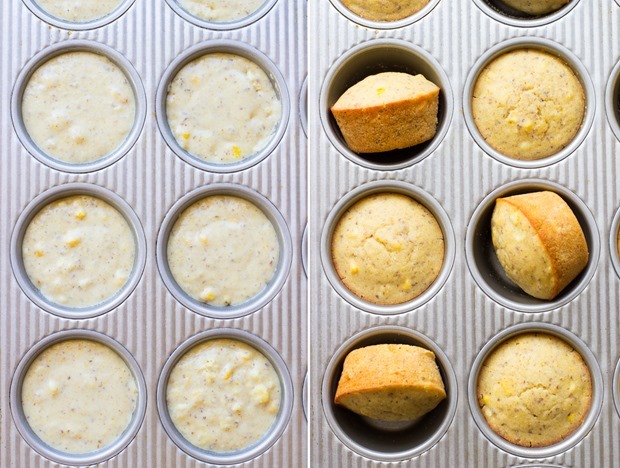 Fill each muffin tin 3/4 of the way full, or until all of the batter is used. Transfer to the oven and bake for 22-25 minutes, until light golden brown. You should be able to stick a toothpick in the center and have it come out clean. Allow to cool for at least 15 minutes before serving. Store in an airtight container in the refrigerator for up to 3 days. This makes me SO excited! I’ve been trying to find a cornbread recipe that doesn’t take milk because I never have dairy milk in the fridge. I tried a recipe once with Greek yogurt but it didn’t work out. This one looks AWESOME! I can’t wait to try it! 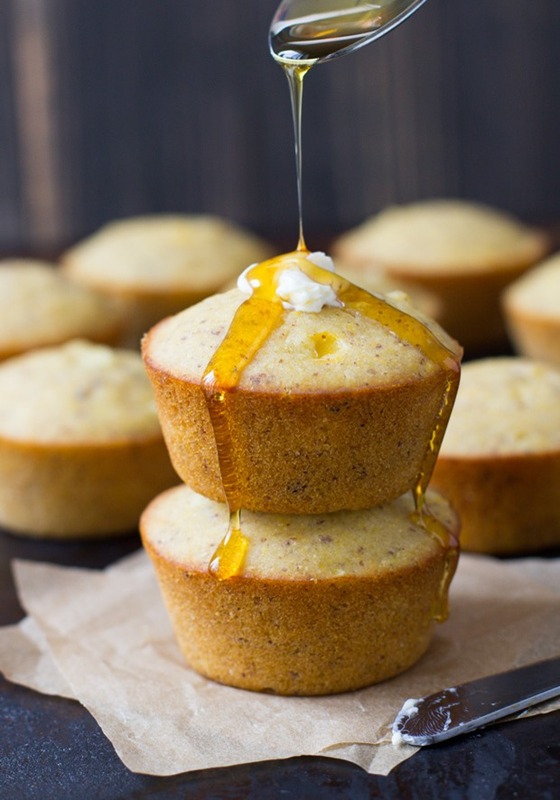 Well, these are the most perfect corn bread muffins I’ve ever seen! Love the addition of corn. Corn bread isn’t really something we eat much up here, but I do love it’s dense yet crumbly texture. Cornbread is SO good! And yes, a total must with a good hearty chili! Cornbread and chili definitely must go together – these look fantastic!! Cornbread is a must with chili, and this vegan gluten-free version looks so moist! Our weather is warming up again and I’m ready for another cool-down to make chili and cornbread consumption a lot more ideal! I love cornbread! 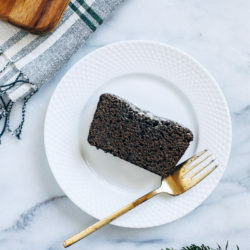 this recipe will seriously do me good for the coming holiday season. one time i bought some boxed cornbread mix from walmart and it ended up very tasteless and dry. I definitely will give this recipe a try. thank you for sharing it! Thanks Andrea! Homemade is way better than anything from a box. I hope you enjoy it! Can you recommend a substitute for the agave? Would maple syrup or honey work? Hi Sally! Yes, maple syrup or a thin, pourable honey should work fine in place of the agave. I would personally prefer the flavor of honey but either is fine. I hope you enjoy them! I love this recipe! I’m making it for the second time in three weeks to go with slow cooker chili. It’s the perfect pairing for a great fall meal! I substituted raw coconut nectar for the agave and part coconut flour as I ran out of rice flour. I also used coconut milk instead of Almond due to an allergy. They taste so great and my whole family loves them! Thank you, Sarah! I love your site. When are you supposed to add the corn kernels….? Hi Amanda, sorry for forgetting that detail! I’m glad that you were able to figure out when to add them and that they turned out well for you. Thank you so much for the feedback! Is there anything I could use instead of the vegan butter i just don’t like the taste. like Olive oil or coconut oil. I really miss corn bread because of celiac disease and being vegan it has been along time and I have a big pot of chilli going at the moment☺ thank you. Hi Sherry! I think olive oil would work just fine. Let me know if you give them a try! I made this recipe twice and it is absolutely delicious. I used grade B maple syrup and flax milk instead of agave and almond milk just because I already had those. Made as a side for a chili party and after I made one batch and tasted I had to make another because I knew they’d be a hit. 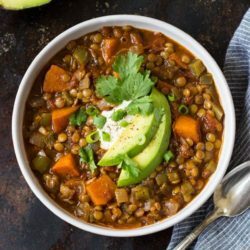 Several people asked for the recipe so I copied your link! Thank you! Hey Sherry! I haven’t tried freezing them myself but I think they would hold up okay! Made these February 27 2017. Subbed brown rice syrup for agave. Mine turned out crumbly and too salty. Tossing these but may try again with regular flour. Hi Jill- brown rice syrup is much thicker than agave nectar and is likely what effected the outcome. I would recommend trying maple syrup instead if you are averse to agave. 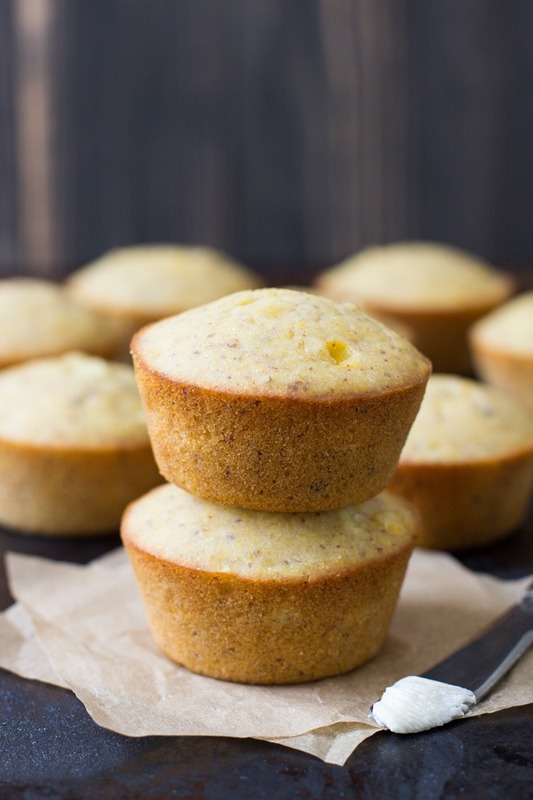 These cornbread muffins were amazing, I’ve been trying to find tasty gluten free cornbread! I made some changes to this recipe by using blue corn, blue agav and blueberries in place of the corn kernels. I used coconut milk and coconut oil. 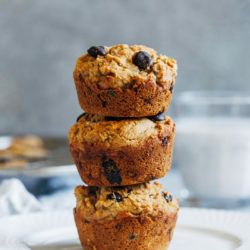 These are some seriously delicious muffins. Thank you so much for this recipe. 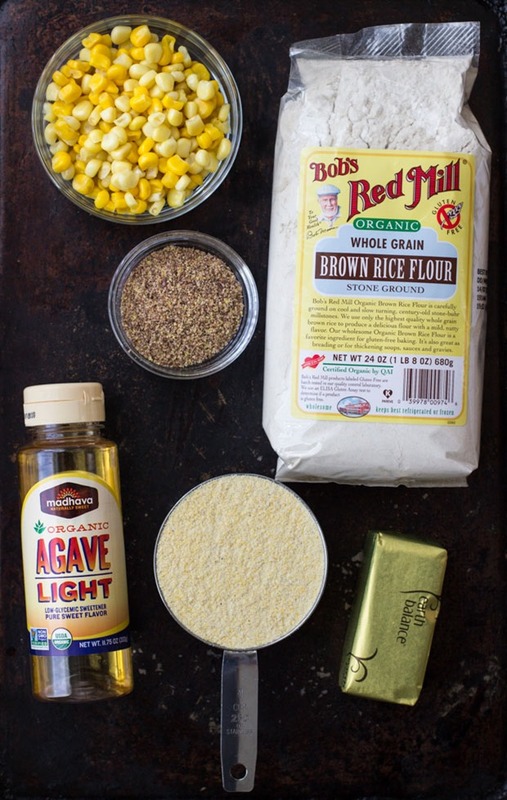 Do you think I could substitute buckwheat flour or millet flour for the brown rice flour? I would think millet flour will work better than buckwheat but I haven’t tried it myself so I can’t say for sure. Do you have oat flour? That’s the first one I would recommend trying. Hi there, mine turned out very crumbly. Any suggestions? Hi Jordan, I’m sorry they didn’t turn out well for you. Did you make any changes to the recipe? Using coarse (not finely ground) cornmeal could change the texture. I know this is “vegan”, but can I use an egg? Does the flax seed + water act as an egg? Thanks! Hi! Im from Argentina! What is earth balance melted? Can you speak in spanish this,please? THANKS! You are Amazing! THANKS! Hi Virginia! I don’t know the spanish term but Earth Balance is a brand of vegan butter. Like, dairy-free butter. I hope that helps! I‘m no amateur cook, but I don’t understand what happened. I followed the instructions, except substituted honey for the agave, and my batter was not as appeared in the picture. It becomes very dry as soon as I add the dry ingredients to the wet. The batter didn’t even bind together. Muffins turned out crumbly and dry. I made two attempts and double-checked that my measurements were correct and that I didn’t miss something. Disappointed. I’m so sorry to hear that, Lori. I know how frustrating it is to use a bunch of expensive ingredients and have a recipe fail. It sounds to me like the culprit was the honey. Maple syrup would be a better substitute as it’s thin like agave and able to better incorporate with the dry ingredients. It’s very hard to find a natural honey that’s thin like maple syrup or agave which is why I didn’t recommend it as a substitute. I hope you have better results if you try again! I love this recipe! It reminds me of Trader Joe’s boxed cornbread mix, hehe! I even added this recipe to me “Best Recipe Ideas for a Vegan BBQ” blog post! 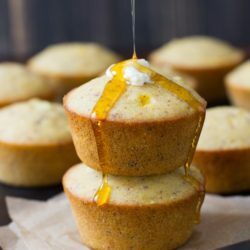 Can I make this in a glass dish instead of individual muffins? I wish it was that simple but whenever I’ve tried that in the past with my vegan and GF muffins, it usually comes out uncooked in the center or doesn’t hold together well enough. So my suspicion with this one is that it wouldn’t work the same. But if you decide you want to experiment please let me know how it turns out! I love this recipe. I was blue corn, blue agave and blueberries in place of corn.. What do you think about freezing these? Has anyone ever tried that? Tasty, but mine turned out really crumbly. What can I do to fix that? I’m sorry to hear they were crumbly! Did you change up any of the ingredients? 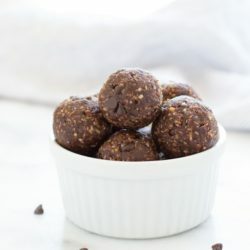 I want to make these soon and have a question. Usually a flax egg calls for 1 tablespoon of flax and 3 tablespoons of water. Your recipe says 2 tablespoons of flax and 3 tablespoons of water. Is this right or a typo? I just want to confirm before I make them. Hi Sarah – would this recipe work in a square pan or does it have to be a muffin pan? 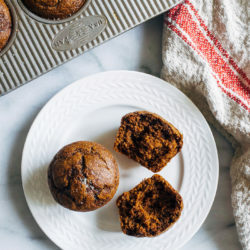 I would recommend sticking with a muffin pan for best results! Followed the recipe exactly, using the provided maple syrup swap. They were absolutely delicious, rose beautifully and paired well with my chili. However, they were so crazy crumbly. You couldn’t take a bite or cut a piece of one without the whole thing falling apart. I would make these again but with some modifications to try to address that part. Thank you for the recipe. I can’t imagine why that happened! I’ve made these many times and they’ve never fallen apart. I’ll have to revisit the recipe to see what the issue might be.